Being a woman on-the-go isn't always an easy task; running from social engagements to work function and back again takes a toll on your beauty. 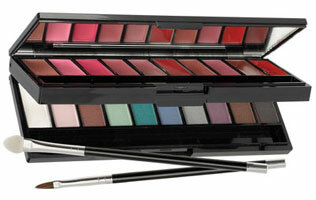 Australis is here to make life easier with the exclusive, new 'Sophisakit make-up kit'. This compact kit fits perfectly in handbags for anywhere, anytime touch-ups. It contains ten of Australis' most popular lip and eye colours, as well as the signature Australis lip and shadow brush and a large mirror. Slip it into your handbag and run out the door. The new Australis Sophistakit is a slim and convenient essential for any modern woman. Australis Sophistakit- It's anywhere, anytime sophistication. From: Priceline, Kmart, Big W, Target and selected pharmacies nationally.